At The Laser Beautique we are constantly looking at the latest innovations; many are fads, some not very effective but occasionally we research and find a product that truly excites us. The Accent Ultra V cutting-edge technology can be used for laser lipolysis, skin tightening, facial contouring, body contouring and so much more. The treatment is virtually painless, fast and effective. Surgical options such as liposuction, facelifts, thigh & buttocks lifts are all able to modify your face and body. But let’s face it- these procedures are invasive, costly and characterised by the risk of complications, long recovery periods and widely varying results. You will experience immediate, visible, subtle to dramatic improvements. Topical treatments have limitations whereby RF, US and Near Infrared (NIR) have powerful effects on the epidermis, dermis and even the deep subcutaneous tissue. Each technology penetrates different layers of the skin, combination treatment is always more effective and therefore we recommend alternating bi-monthly. In combination, these dual-layer treatments can create dramatic change without the need for invasive surgery. Collagen fibers contract and multiply which firms and improves laxity. Connective tissue contracts to improve the skins contour, texture and architecture. Better known in the USA as VShape, this treatment can perform body sculpting in 20-60mins! At The Laser Beautique we are proud to be the first in Africa with the Accent Ultra V technology which uses a combination of Ultrasound (US) and Radio Frequency (RF). As seen on famous American TV shows The Doctors, NIP TUCK, Access Hollywood. Ultrasound treatment safely and effectively targets localised, hard-to-remove, fat deposits, naturally reduces and eradicates the fat cells without damaging skin or shifting fat to other areas (examples of facial fat deposits are double chin and jowls). Duel layer Radio Frequency enhances vasodilation and increases blood flow, allowing for lymphatic drainage to improve oxygen levels that will assist metabolism. This duel layer RF is targeted energy that helps reorganize the cellular environment and stimulates the cells to restructure collagen, improve elasticity, tone, tighten and further contour the skin. The results also show a reduction in dark circles and improvement of pigmentation caused by sun damage. Tones, tightens, improves skin architecture, texture, sun damage and liver spots. Expel fat, tone, tighten, lift, improve loose, sagging, wrinkled skin and improve skin architecture and texture. Expel fat, improve loose or sagging skin, tighten, tone and recontour shape. Dissolve fat and flatten your stomach, tighten, tone, lift and define. 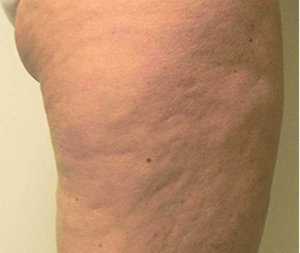 Reduce the appearance of stretch marks and cellulite. No more bulges and unwelcome rolls. Reduce unwanted fat in midriff and under breast area. Tone, tighten, resculpt and re-contour shape. Love handles are one of the toughest areas to trim into shape. 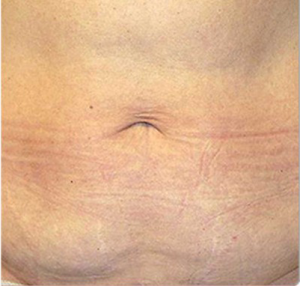 Target stubborn fat, resculpt, tone, tighten, re-contour and reduce the appearance of stretch marks and cellulite. Removal of unwanted fat on the sides of legs. Reduction, contour with lift, tone, tighten and sculpt area. Reduce the appearance of stretch marks and cellulite. Removal of unwanted fat in inner thigh area. Reduction, contour with lift, tone, tighten and sculpt area. Reduce the appearance of stretch marks and cellulite. Removal of unwanted fat in the front or back of thigh area. Reduction, contour with lift, tone, tighten and sculpt area. 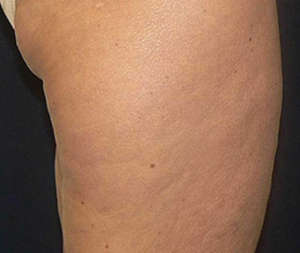 Reduce the appearance of stretch marks and cellulite. Reconstruct, lift, tighten and tone with elimination of unwanted fat without damage to skin. Non invasive liposuction/Laser Lipolysis is not a weight loss tool but should be used to treat stubborn pockets of fat that healthy eating and exercise combined have not been able to address. Do not eat a heavy meal but rather opt for something light that is low in carbohydrates and fat. Increase physical activity within two hours of treatment to help ‘burn-off’ released fat call cells is essential. While a gym session would be the ideal if you can’t fit this into your schedule a brisk walk is a good alternative, but any cardiovascular exercise for 30-45mins will suffice. Laser Lipo or Body Contouring does not alter your body’s genetics by removing fat cells as surgical Liposuction will, in order to maintain the results achieved we recommend a healthy lifestyle of exercise and balanced diet is maintained. However we understand that there are times in our lives when a healthy lifestyle gets put on hold, holidays for example, so maintenance options are available. 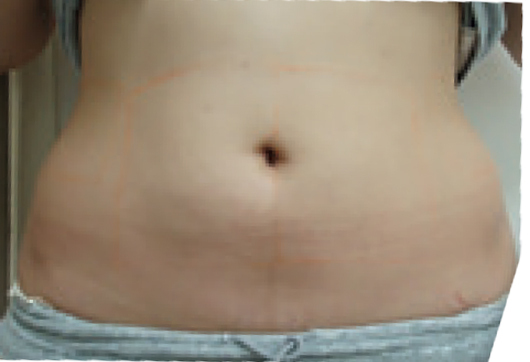 What technology do you use for the laser lipolysis/body contouring? Accent Ultra V Body Slimming is FDA approved, non-invasive, PAIN-FREE, and an effective alternative to Liposuction. Perfect for those with flabby skin and cellulite as it breaks down fats and firms the body at the same time. Incorporating advanced safety precautions that cool your skin to prevent discomfort, Accent Ultra V Treatments are risk free when performed under therapist supervision. Numerous patients have undergone Accent treatment without any adverse effects. 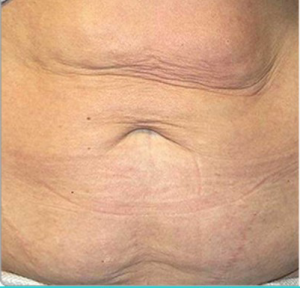 Laser Lipolysis (or non surgical liposuction) treatment time will depend on the area size being treated, your treatment can vary between 15mins to 2 hours, your therapist will be able to advise you at your free, no obligation consultation. At The Laser Beautique we recommend a course of 8 – 10 treatments spaced out over 7-10 day intervals. Maintenance treatments may be needed to keep the results. How many Laser Lipolysis treatments do I need? Most clients see noticeable results after their first treatment, you can expect to lose a minimum of up to 2cms per treatment, for optimum results we recommend a course of 8 – 10 treatments. We recommend a course of eight because each person reacts differently to the treatment depending on their weight, body shape and area treated. Some patients see fast, impressive results to begin which settle towards the end of the course while others notice little difference at the start but see significant results at the end. Will I see dramatic results? This is a difficult question to answer as it’s relative to your expectations. Most of our clients see an average loss of 2cms per treatment. Laser Lipolysis should not be undertaken as a weight-loss tool but should be to remove stubborn pockets of fat as part of a healthy lifestyle. We would not expect to drop multiple dress sizes as this is not a healthy or responsible approach to weight loss. It is a course which will reduce fat in the area treated a bit at a time it can feel like the treatment is not as effective as you would like, but when measurements are taken before and after a significant decrease in mass has been recorded in all patients. The treatment is part of a healthy balanced lifestyle, you should maintain a steady calorie intake both before and after the treatment. Increased calories or reduction in exercise during the treatment may result in no noticable fat reduction, this is because the non surgical liposuction is counteracting the change in your lifestyle to maintain a balance. While pain tolerance is subjective, most people tolerate Dual-layer RF Thermotherapy very well, and have little or no discomfort. The procedure uses IN-Motion technology, which gradually heats up the inner layers of the body so that you feel no pain during the procedure. Patients often describe the sensation as a “warm massage.” The risk of significant side effects is extremely low. Yes, the procedure is completely and truly safe. In fact, Accent Ultra procedure is the world’s safest body and facial contouring and body and facial fat removal procedure. This treatment is completely non-invasive and involves no injections, drugs or even pain, and hence, there are indeed no side effects for it. How will I know if the treatment is for me? The Laser Beautique practitioners will give you a FREE Consultation and Test Patch. They will counsel you regarding the treatment and the expected results before your first session. As Vshape treatments work extraordinarily well throughout the year and on all skin types, it is highly likely that this treatment is also the right one for you. How long must I wait before returning to my regular routine? You won’t have to wait a single minute, for the non-invasive Accent procedure requires zero downtime. Just come over for a lunchtime session and go back immediately after it, with a whole new and improved facial contour. Believe it or not, Accent Ultra V gives you long lasting results. The ultrasound waves dish out so much damage to the subcutaneous fat cells that their ability to store excess fat in the near future is impaired for a long time. Patients who adhere to a healthy lifestyle can expect their results to last a minimum of 5 years. In our experience results have been known to continue to develop long after the completion of the treatment, with continued “shrinkage” of the treatment site seen over 9 months after the final treatment. While just one or two treatments can produce good results, your aesthetician may recommend follow-up procedures to best maintain and improve your body’s youthful appearance. We are proud to tell you that no side effects have ever been reported from the Accent treatments.